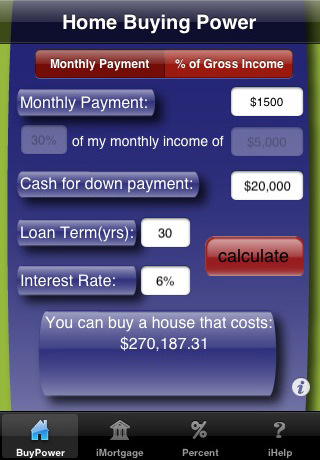 The best real estate app for home buyers, apartment hunters and real estate enthusiasts on iTunes! 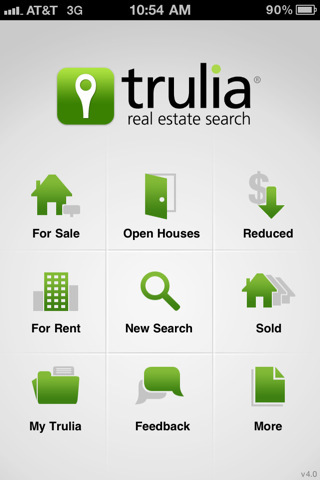 See nearby homes for sale and apartments for rent, or search for listings across the US with award-winning Trulia.com for your iPhone or iPod Touch. Perfect for house hunters, renters and real estate enthusiasts alike, Trulia’s App will show you nearby homes for sale or apartments for rent, help plan an afternoon of open houses, find a local real estate professional, or check out local listing prices while on the go. 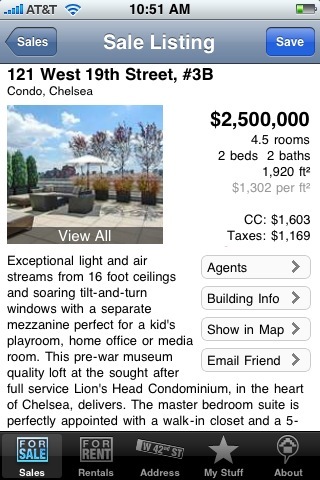 Home shopping is reinvented with Zillow on iPad! View photo galleries of homes on iPad’s large, eye-popping 10-inch touch screen where your fingertips tap, swipe, pinch, and drag to see Zestimate home values, homes for sale, homes for rent, and more. View multiple high-resolution photos side-by-side as you window shop through neighborhoods. Touch and expand a “photo stack” to peek inside a home. Save any home you like by dragging and dropping it to your favorites. 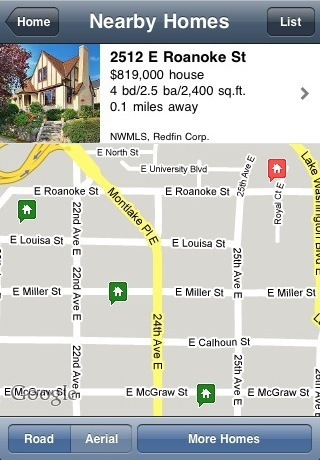 The best MLS-powered real estate app. 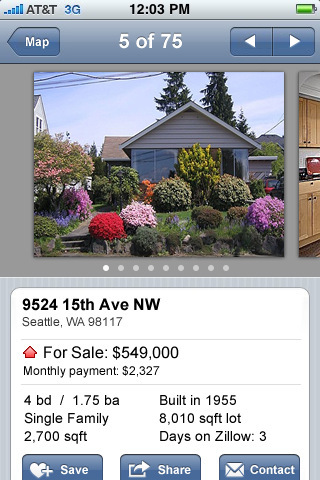 Get all the details & photos on every home for sale, then add your own pics & notes. GPS-enabled. – Search for listings near your current location – find out what it would cost to live in a neighborhood you are visiting. – Get information on any building – type in the building name or address and show all the listings available in that building, as well as a description and market data summary. 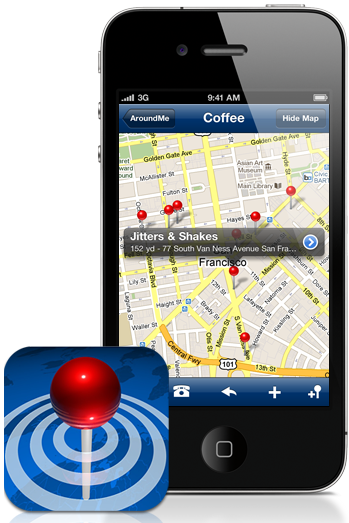 Quickly search for Bank, Bar, Gas Station, Hospital, Hotel, Movie Theatre, Restaurant, Supermarket, Theatre and Taxi. Share your place with Facebook, Twitter or email. Show route from your location to the discovered place. Display result in a quick list format or map view. Compass display (requires iPhone 3GS). Augmented Reality mode (requires iPhone 3GS). Available in English, German, French, Spanish, Italian and Japanese. It’s the perfect platform for the perfect apartment search. 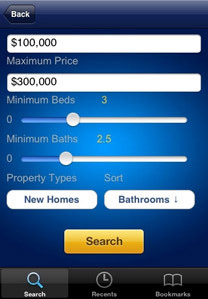 With the iPhone’s unique features, the FREE MyNewPlace App lets you take your apartment search on the go! On your iPhone, there’s no place like Homes.com. Now, more than 2.5 million Homes.com listings are available on your iPhone with a fast and flexible real estate search for homebuyers. The same great search is available for nationwide rentals! -A listing detail view to help you estimate closing costs and easily email information on a listing to your client and save properties to a shopping list. *NEW* Includes a button to easily call your client from Home Buying Power. We understand that it’s not just about finding that perfect home, but also sharing that home with those who are closest to you. 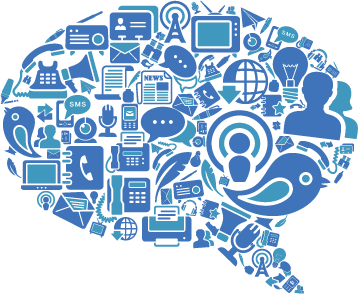 That’s why Smarter Agent allows you to easily share your search with friends and family on your favorite social networks, all from your mobile phone. More importantly, we go beyond sharing the listing – share your photos, videos, notes and thoughts about each and every find. 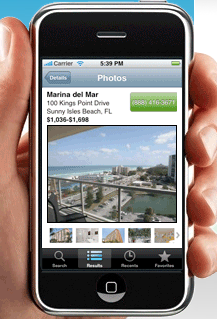 Find more homes for sale on your iPad, iPhone or iPod Touch with REALTOR.com® – the #1 real estate site. REALTOR.com® has more listings and updates them more often (every 15 minutes) than any other site. Features include: map search, saved searches and listings synchronized with the website, private ratings and notes and the ability to share listings with your friends, agent and social network.